Home Features Do Chelsea need better squad rotation? 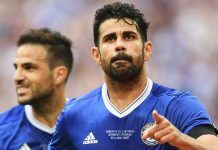 Do Chelsea need better squad rotation? This is a subject that has been mentioned a lot lately due to the obvious fatigue issues and tiredness witnessed from this Chelsea side at this stage of the season. We’ve been competing for four competitions until recently defeated by Bradford City and it appears to be taking it’s toll on recent performances. A number of players are starting to look off, highly pressured and lacking confidence. Many are stating that this is as a result of a lack of squad rotation and that we need more. In January we sold Andre Schurrle and Mohammed Salah and only bought in Juan Cuadrado, perhaps leaving us short in attacking options. As well as that, we’re now facing a lack of options in midfield this Sunday as we look to take on Tottenham in the Capital One Cup Final, with Nemanja Matic being suspended and John Obi Mikel out injured. In the past successful Chelsea sides have had more squad depth and higher quality options to come in as a ‘B’ team as such. Even at the back it seems we are short of options and the usually high energy Cesar Azpilicueta has showed signs of fatigue. I feel that this is an issue that Jose Mourinho knows is a problem right now and we will see more depth come in this summer adding more cover to most areas. It’s been stated by many experts before that to compete for all competitions you must have two top draw options for each position, and in the past Chelsea have had this regularly. So how would we keep everyone happy? If we’re using a rotation system, everyone will be getting games so that will make the fringe players happy. But will this see our flair players who want to play every game suffer from morale? Highly likely of course. Also, there are obviously benefits of keeping the same starting eleven every game with the players knowing each others game inside out, being settled and knowing exactly what they need to do and how to win matches.